The economy in greater Worcester grew at roughly 1.9 percent during the third quarter of 2017, up slightly from the revised 1.7 percent turned in during the second quarter, according to the latest update of the Worcester Economic Index. 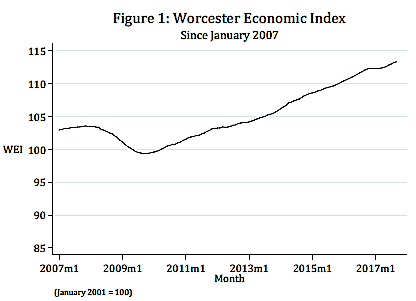 The WEI, a quarterly report by Assumption College Economic Professor Thomas White, is an estimate of local economic activity based on recent employment and unemployment data for the Worcester area. The latest six-month growth forecast, based on data through September, projects growth at a 1.3-percent annualized rate over the next two quarters. “Currently, none of the leading indicators used in the WEI forecast are providing strong positive or negative signals,” White added. Two local leading indicators were also discussed in the report. Third-quarter new business incorporations in the greater Worcester area were up 4.0 percent compared to 2016, while statewide initial unemployment claims fell 1.6 percent over the same time period. The Health Foundation of Central Massachusetts recently awarded Activation Fund grants to area organizations totaling almost $700,000. These grants will support a wide range of health-related projects throughout Central Massachusetts. “The Foundation received 72 letters of intent for this year’s Activation Fund, again reflecting a very robust applicant pool,” said Dr. Michael J. Mutchler, chairman of the board of the foundation. “After careful consideration, the Board approved 11 Activation Fund projects at the September Board meeting, totaling $694,516. This is the second largest amount ever awarded in a single year and reflects the quality and caliber of the grant projects developed to address the important health issues in Central Massachusetts,” Mutchler added. “The goal of the Activation Fund is to enable an organization to move to a higher level of capacity and to then continue to function at that higher level after the grant ends,” noted Dr. Jan Yost, president and CEO of the foundation. GAAMHA, Inc. — $98,275 for the Women’s Supportive Housing. Substance Use Disorders project to open a supportive housing program for women in Gardner that would provide housing, a safe environment, and case management for women with substance use disorders. The Barton Center for Diabetes Education — $67,000 for the Technology Update for the Transmission and Recording of Blood Glucose Data and Medical Recording project that will implement electronic recording of data for individuals with type 1 diabetes attending its camps. Montachusett Interfaith Hospitality Network — $20,000 for the Homeless Shelter Governed by Trauma Informed Practices project to replace the roof on its homeless shelter. Worcester Community Action Council — $62,000 for the Bank On Worcester County project to develop and implement the Bank On program model to address the high number of unbanked and underbanked individuals in Worcester County. Heywood Hospital — $92,976 for the Community Mental Health Center at the Quabbin Retreat project to establish a licensed community mental health center that will offer affordable substance abuse and behavioral health services to youth and adults. Abby’s House — $75,000 for the Abby’s House Thrift Shop project to renovate its Thrift Shop, which directly subsidizes its shelter, housing and advocacy. Advocates, Inc. — $57,365 to launch the Hudson-Sudbury Jail Diversion Program to divert Hudson or Sudbury residents with mental health and/or substance abuse disorders from the criminal justice system to the behavioral health system for treatment. HMEA — $65,000 for the Autism Advantage at Work project to pilot its Autism Advantage at Work program, which will serve adults with autism in Central Massachusetts and help train and retain them in employment at Dell/EMC and other local employers. The CASA Project — $45,600 for the Training Room Renovation project, which will renovate a training room to enable remote training for new and existing volunteers. Volunteers serve as advocates to abused and neglected children in the Worcester County Juvenile Court. Arms with Ethics — $55,500 for the Worcester Gun Violence Reduction project, which will work with the Worcester Police Department and the Worcester medical community to facilitate temporary safe storage for gun owners to prevent someone with mental health or substance abuse issues from accessing a gun. Veterans Inc. — $55,800 for the Clinical Stabilization Services Billing project to establish a Billing & Credentialing Department at their state-licensed Clinical Stabilization Services facility. For the second year in a row, the UMass Memorial Medical Center Division of Cardiology has been named one of Becker’s Healthcare’s top 100 U.S. hospitals and health systems with great heart programs. “Our caregivers deliver the best care to patients in Central Massachusetts. This recognition demonstrates the team’s dedication, compassion and commitment to heart care,” said John Keaney, M.D., medical director, Heart and Vascular Center, and chief, cardiovascular medicine. 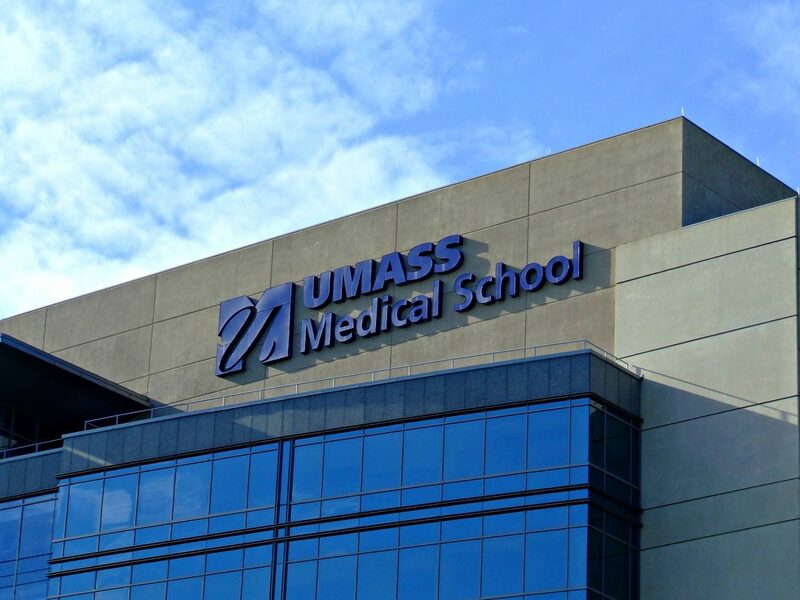 UMass Memorial is a national leader in cardiac treatment, having received recognition for delivering top-notch patient care including treating complex aortic disease using minimally invasive endovascular repair. Currently, the Division of Cardiology is studying the use of smart technology to monitor arrhythmias. 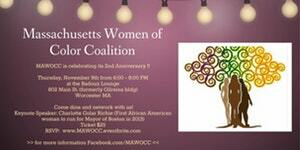 The Massachusetts Women of Color Coalition will celebrate its second anniversary with an event 6-8 p.m. Thursday, Nov. 9, at Badoux Lounge (formerly Gilrein’s), 802 Main St.
Charlotte Golar Richie, who in 2013 became the first African-American woman to run for mayor of Boston, is the keynote speaker. Founded in 2015, the coalition is dedicated to eradicating the racial inequities among women of color created by structural, institutional, interpersonal and internalized racism. 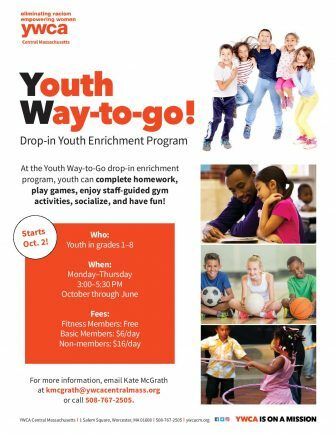 The YWCA Central Massachusetts is offering Youth Way-to-Go, a low-cost drop-in enrichment program for youth in Grades 1-8. The program is available 3-5:30 p.m. Mondays through Fridays at the YWCA, 1 Salem Square. Youth can complete homework, play games, enjoy staff-guided gym activities, socialize and have fun. The program is free for Fitness Members, $6 per day for Basic Members and $16 per day for nonmembers. For more information, email Kate McGrath or call 508-767-2505.